At FDIC 2017 we met with Chris Martin from Elkhart Brass to take a look at the new XD nozzles. Elkhart has really done a good job on these nozzles listening to the feedback of firefighters and using suggestions in the design. This series from Elkhart is titled XD for a reason, it stands for extreme duty. Once you take a look at them you will realize they truly are built for work. Everything on this nozzle was considered and not just what you see in plain view. The waterway inside is also refined offering a full round ball for a smooth internal barrel. Take a look at the video below to get a nice overview of the new Elkhart XD nozzles. 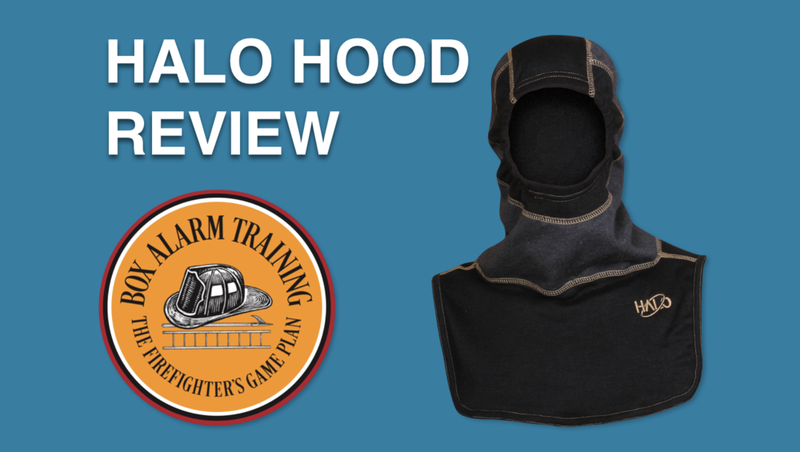 The HALO Hood is a new firefighting hood designed by Majestic Fire Apparel. The HALO Hood stemmed from recent research on the prevalence of cancer among firefighters. Typical hoods offer limited protection from particle infiltration which results in particles making their way through your hood and onto your skin where absorption can take place. The HALO Hood has a built in particle barrier in key places throughout the hood. The hood features panels of protection placed in key areas in order to create a balance of comfort and protection. This hood offers significant levels of thermal protection, higher than most hoods on the market. You can view the detailed TPP ratings from the Majestic Fire Apparel website. Check out our video below to see the review. You can also visit www.majhoods.com for more information. Majestic Fire Hoods come in three primary styles; the PAC I, PAC II, and PAC III. The PAC I provides a length of 19" where the PAC II extends the overall length to 21". If you are looking for a little extra coverage the PAC III will provide you with 21" overall length and a little extra width to cover your upper shoulders. Majestic Fire Hoods are sewn with flat seams. This helps keep the seams from rubbing your neck or anywhere else the fabric is joined together. You can order their hoods with a single center seam over the top of your head or a double seem which gives you a panel of material on the top of the head instead of a seam. You can also order a Strategic Vent Zone (SVZ) hood which replaces that top panel with a ventilation panel to improve evaporation performance in order to keep you cooler. Lastly, choosing the fabric material will help you tailor the hood to meet your needs. I typically prefer the C6 material due to it's high Thermal Protective Performance (TPP). I have also really enjoyed the Rayon/Kevlar hood with the additional C6 upper. The highest thermal protection offered lies in their MM4/FYR-HAWK (Moisture Membrane) which exceeds 60 TPP. The MM4 provides protection through 3 layers of C6 material and 1 layer of Melange to provide the moisture membrane. You can see all of the performance specifications by visiting their website here. Thank you for visiting our site and don't forget to check us out on Facebook and YouTube. The new G1 face piece is completely different from past models. The new face piece is very light, coming in at just under 1.5 pounds. You will also notice the new G1 mask has all electrical systems removed. This is accomplished by allowing the regulator to handle the communications, HUD, and air. Now that these systems are relocated you have a very streamlined and low profile mask which is very comfortable. The regulator is a fundamental component of this entire system because not only does it supply your air but also pipes the lighting through your face piece for the HUD and includes two microphones to amplify your voice through the voice amplifier. The new harness features a new quick release system for both the cylinder mount and the coupling itself. You will find this system to be very fast. The most notable comfort feature of the G1 is the new adjustable and swiveling lumbar pad. The lumber pad is adjustable to your height and also swivels as you move. The shoulder straps also have a few changes to help the straps stay in place as you move. The straps snap together at the frame and then each strap has a friction material positioned on you shoulders to help keep the straps from shifting. You will also notice status LED lights all over the SCBA. These lights give you a visual indication of the users air level. When the SCBA low air alarm activates you will also see the RIC connection will illuminate for other firefighters to make that connection. The G1 pass device features an analog air pressure gauge and also a digital display. The display is customizable and can show your air pressure or time remaining using an algorithm to calculate the time you have available based on your air consumption. The SCBA is also bluetooth compatible and will include RFID as an upgrade. You will also hear the new NFPA 1982 common PASS sound which all SCBAs will have for the 2013 edition of NFPA 1982. The new communications system has been well though out. They have moved your voice amplifier speaker off of your mask and onto your harness. This helps tremendously by removing unwanted weight off the mask and allowing the mask to be more streamlined with less to snag on. The regulator uses two microphones to amplify your voice through the speaker. You will find this system to be very clear and loud. Overall this SCBA is very different from past models. My first impression was that the SCBA was a little heavy but after analyzing the systems you see where the weight has been shifted as an advantage. The G1 harness weighs 15.5 pounds with the battery, 25.5 pounds with a 30 minute 4,500 psi cylinder and the mask weighs just under 1.5 pounds. So, when you lift the harness for the first time it feels a little have until you actually strap it on and wear it. The reason it feels like this is because the weight you are used to carrying on your mask shoulder strap (for a PASS, HUD and Voice Amplifier) have all been moved to the harness. You also get a little added weight for the comfort feature of the new adjustable lumbar pad. This SCBA wears nicely and feels very balanced and the features give you a lot of advantages on the fire ground. BOTTOM LINE: If you get a chance to see this pack do not just look at it and the features. Strap it on and wear it. You need to feel the pack to really understand it's design.